A bountiful harvest scene is beautifully framed in this shadow box greeting card. 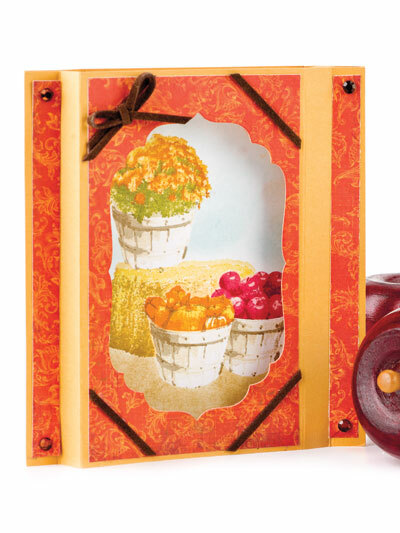 This e-pattern was originally published in the September 2012 issue of CardMaker magazine. Stamps not included. Size: 5 1/2" x 5 1/2", unfolded.